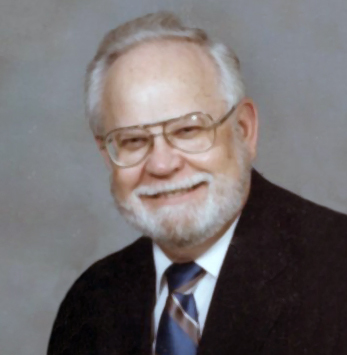 Obituary for Chester Louis Cornelius | Langeland Family Funeral Homes, Inc.
Chester "Chet" Cornelius, age 88, died at home on January 29, 2019. He was born on September 1, 1930 at Woods Station, Ohio to the late Robert M. and Edna Faye (Joyce) Cornelius. He spent his youth living on farms, milking cows, attending one-room schools in Hamilton and Oxford, Ohio. At the age of 18, he enlisted in the U.S. Army and served as a communication specialist in Anchorage, Alaska and Korea. Upon his discharge, he took a position at General Motors in Hamilton, Ohio. He was married to Shirley L. (Schaub) on October 10, 1952. He also was a volunteer fireman in the County and served as Captain of the department. In 1967 he and his family were transferred to Kalamazoo where he was needed to fill a vacant salary position at the new GM plant. He held numerous positions over the years and most recently Production and Material Control Manager. After 35 years, he retired and became a licensed building contractor with projects ranging, from porches to his daughter's house. Chester was very active outside of work. He umpired his son's little league team and attended his swim meets in high school. He especially enjoyed playing pro-ams at PGA events around the U.S. He watched NASCAR and sports on TV, cooking shows, and politics and went to the Farmer's Market every Saturday. He traveled extensively, with his family, throughout the U.S., especially enjoyed camping. He and Shirley traveled to many places outside the U.S., including Australia and New Zealand. Over the years, he provided many meals to people at the Kalamazoo Gospel Mission by purchasing food that was needed. He was a member of the Hugh L. Bates Masonic Lodge in Hamilton, Ohio, member of the Fairfield School Board of Education, attended Lindenwald United Methodist Church in Ohio, and president of the Kalamazoo Management Association. Chester was preceded in death by his parents and siblings—Blanche Finkbine, Anna Belle Norris, Melvin Cornelius, Faye Madaffer, and Robert Cornelius. Surviving are his wife of 66 years, Shirley; daughter Tamara Cornelius-Randt (Kenneth Randt) of Portage, son David L. Cornelius (Shelly) from Holmen, Wisconsin; and two grandchildren—Carly and Cody Cornelius. Cremation has taken place, and a service will take place at Fort Custer National Cemetery at a later date. In lieu of flowers, donations in Chester's memory may be made to the American Heart Association or The Kalamazoo Gospel Mission.